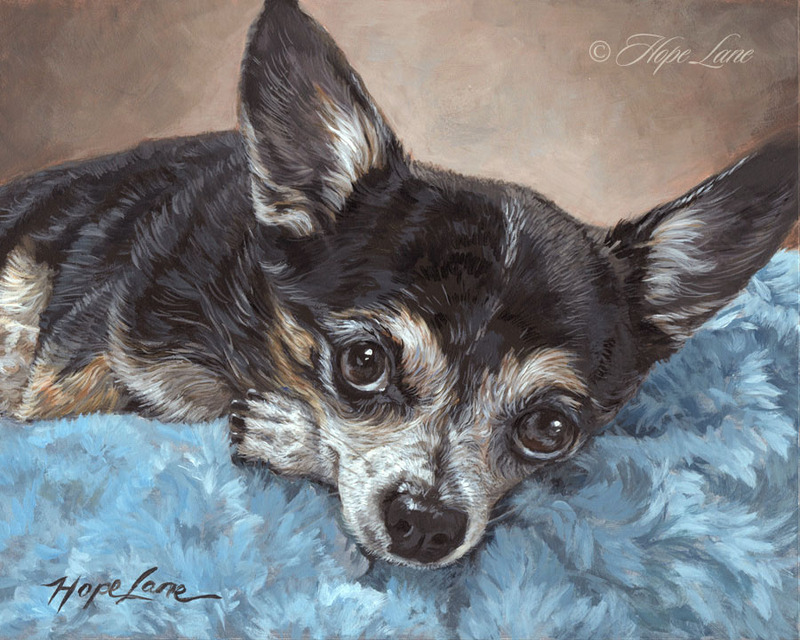 The finished portrait of sweet little Pepe. I had a lot of fun painting this–from his big eyes looking up at you to the shag carpeting he’s resting on. Thank you to my client Patricia for letting me paint her boy a second time.